Hope everyone is having a wonderful Memorial Day. Ours has been a stay at home and relax weekend. I did get a chance to check out some information on photographing cards posted by Debbie Olson at Thinking Inking . Thank you Debbie. I don't have the set up yet but am looking into it. I am leaning toward this set up, For now I'll just take the best pics I can with what I have. This little card was fun to do. Paper is from Prima Marketing, Botanical collection. The large doily is a Die-namics Decorative Doily. Smaller circle is from Spellbinders Lacey Circles. I hand dyed some white rayon seam binding with Tattered Angels Glimmer Mist, Juneberry Wine. Stamp sentiment is from my stash. All of these items except for the stamp are available at School Adventures. Thanks for looking, see you again soon. I have always had a difficult time making sympathy cards but this one I am happy with. It was inspired by Selma at Selmasstampingcorner .I was a bit concerned about punching the design out but thanks to Becca's tutorials instructions it was actually very easy. The punch set is called Double Arches by Martha Stewart. It is available now at School Adventures. 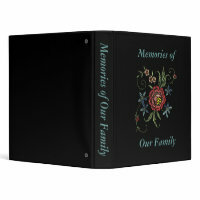 The center piece was embossed with the Cuttlebug folder Tiffany also currently in stock there. Butterflies were punched with the Martha Stewart Monarch punch. Leaves are done with an EK punch. Stamp is from the Heartfelt Collection. Tomorrow I will post a graduation card that I made for my grandaughter. I made this card for my grandaughter's graduation from High School. I wanted something "girly" and this worked out well. The label is Spellbinders Fancy Tags Two. School Adventures had gotten these in and sold out. Check with Debbie to see if the new order has arrived. Flowers and ribbon are from my stash. Pink Pearls available at the store. Black cardstock by Bazzill. Thanks for looking and have a wonderful Memorial Day Weekend. Please bear with me as I have no idea what I am doing. This will be my first post and I wanted to show you a card that I recently made. Paper from Graphic45. The dress form stamp is from Oxford Impressions. There is also one by Tim Holtz available at School Adventures.